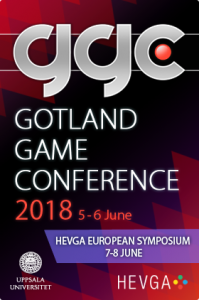 GOTLAND, SWEDEN – April 26, 2018 – Last year, as part of the Gotland Game Conference (GGC), HEVGA co-hosted the Game Educators Summit in conjunction with Uppsala University. The Summit brought together educators from across Europe to discuss the structure of Game Educations in Europe, our unique needs within and across borders, and how to best expand HEVGA in Europe. This year, HEVGA is continuing to grow its efforts in Europe by holding our first annual European Symposium of the Higher Education Video Game Alliance on the beautiful island of Gotland, Sweden. Uppsala University has been chosen by HEVGA as the first school to host the symposium and will co-locate it with the Gotland Game Conference to maximize cross-pollination. The two day symposium will take place on June 7 & 8. The first day will feature presentations across a wide variety of areas such as research, game educations, pedagogy, game design, games, institutional barriers and successes, within and across borders barriers and successes, and programs or initiatives unique to Europe. Slots are available in 15 – 45 minute increments. The second day will consist of a working meeting designed to bring together diverse institutions and individual backgrounds to take stock of where games and game educations in Europe are at now. The working meeting will explore how to create a platform that can further establish a European games community in higher education across borders. Specific topics include: how to secure funding, creating a network that connects educations, amplifying local achievements globally, and avenues for unified advocacy. To join us for the first European Symposium of the Higher Education Video Game Alliance hosted by Uppsala University, click here. WASHINGTON, DC – June 25, 2018 – Recent articles circulating in the news concerning the World Health Organization’s (WHO) proposed ‘gaming disorder’ inaccurately report that it has already been included in WHO’s International Classification of Diseases (ICD). In fact, this is still only a proposed draft, currently under review by experts around the globe. As researchers concerned with careful, evidence-based recommendations, we note that no definitive evidence has yet been published that links video games as a medium to a disorder deserving of its own classification.Without sufficient evidence, WHO will only repeat a cycle of media scares that we’ve seen before in books, music, radio, and television. In our opinion, WHO should first demonstrate the proposed disorder is not due to other underlying evidence-based disorders or diagnoses, as opposed to video games as a medium, before including it in the ICD-11. Not to do so has the potential to cause great harm to individuals in true need of other substantiated and effective mental health diagnoses and treatments. We urge WHO to consider the lack of evidence supporting a causal link between a disorder and the medium of video games prior to including it in the ICD-11. In order to continue the conversation, HEVGA Vice President Lindsay Grace will be participating in a panel discussion at the Games for Change Festival this week on Friday, June 29 from 3:15-4:00pm ET. Other panelists include: Jennifer McNamara (Vice President of Serious Games, BreakAway Games), Kelli Dunlap (Mental Health Manager at iThrive Games, psychologist), and Victoria Van Voorhis (Founder and CEO of Second Avenue Learning). Panelists will address WHO actions and the continued critique of games from social and scientific communities, present research findings and heuristics to critically assess claims, and equip attendees for meaningful dialogue around this classification driven by evidence, findings, and knowledge. A recording of the panel will be available to the public online following the Festival. If you will be at G4C, we encourage you to attend. WASHINGTON, D.C. – Thursday, April 19 – The Higher Education Video Game Alliance (HEVGA), through its Diversity & Inclusion Committee, published today the following value statement on diversity & inclusion. The Higher Education Video Game Alliance’s mission to support higher education in video games through information-sharing, resource development, and community engagement is underpinned by a commitment to openness and inclusion. We continue to work to foster inclusion and champion equity. HEVGA strives to increase dialogue and listening opportunities within our communities. We are committed to active intervention when members face discrimination, harassment, or other forms of exclusion. We will advocate for students, faculty, administrators, programs, and institutions as well as affiliates who are disadvantaged based on race, gender, class, ability, sexuality, religion, nationality, and migration status. One of HEVGA’s primary goals is to work to expand the narrow understanding of the culture of games and game playing, recognizing the importance of access and inclusion for all. Historical and contemporary trends in games construct a limited stereotype of what defines a “gamer,” and renders invisible the nuance within communities who make and play games. Across the games industry, media, politics, academia, and game communities, this distorted and limited sense of gamer identities results in the erasure or minimization of many active participants who fail to fit the falsely assumed norm. We seek to challenge the current status quo that grants privilege and access to those from specific backgrounds by working against the exclusion of the diverse practices of gamers, game makers, and games scholars. Participating in conversations and public debates to advocate for the interests of our members in all their diversity, by doing our part to ensure that important moments of potential dialogue do not result in silence. Conducting and sharing research on the history and current context of games education to reveal enduring problems and move toward positive ends. Creating spaces to support and promote the games work of members from a rich diversity of backgrounds, traditions, and cultures. Listening to our membership through email communication with the Diversity & Inclusion Committee co-chairs, regular open meetings with the committee, and the establishment of an online community amongst the membership to help facilitate dialogue and discussion as we develop safe spaces for diversity in games and higher education. Acting to amplify under-represented and marginalized voices through forums, advocacy, and help with professional development. See our committees page for a list of Diversity & Inclusion Committee members. To contact the co-chairs, email Alison Harvey and Phill Alexander. SAN FRANCISCO, CA – March 19, 2018 – The Higher Education Video Game Alliance (HEVGA) today announced the appointment of Lindsay Grace and Mirjam Eladhari to the Board of Directors. Both will serve on the Executive Committee, with Grace as Vice President and Eladahri in a non-officer role, filling vacant positions previously held by founding board members and fellows Constance Steinkuehler and Tracy Fullerton. “Lindsay and Mirjam are two colleagues who have done phenomenal work in a wide array of areas and roles for decades combined. Their passion and commitment to furthering our community is clear and will push us forward in new directions. Lindsay and Mirjam have long been leaders in the field and are uniquely equipped to focus on several of our key goals, particularly the continued expansion of HEVGA’s footprint internationally. In 2017, we held our first international meeting on the island of Gotland in Sweden during the Gotland Game Conference (GGC) at Uppsala University. This year HEVGA will again partner with GGC and Uppsala to hold a two-day symposium co-located with the conference. Lindsay and Mirjam’s experience will be indispensable as we grow our capacity in Europe and beyond. Our initiatives, committees, and reports will benefit greatly from their knowledge as we build a rich network and community pushing the collective and interdisciplinary boundaries of our field. I respect them both deeply and truly look forward to serving alongside them,” said Andy Phelps, President. In addition to the appointment of Grace and Eladhari, the board of directors will expand to seven members later this year. Details on the election process will be available this spring. Lindsay is an associate professor at American University and founding director of the American University Game Lab and Studio. He was the Fall 2017 Visiting Knight Chair at the University of Miami. 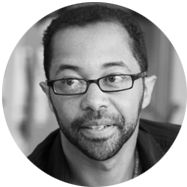 His work has received awards and recognition from the Games for Change Festival, the Digital Diversity Network, the Association of Computing Machinery’s digital arts community, Black Enterprise and others. He has published more than 50 papers, articles and book chapters on games since 2009. His creative work has been selected for showcase internationally including New York, Paris, Sao Paolo, Singapore, Chicago, Vancouver, Istanbul, and others. He has given talks at the Game Developers Conference, SXSW, Games for Change Festival, the Online News Association, the Society for News Design, and many other industry events. Academic liason and former vice president (2015-2016) for the Global Game Jam™, Lindsay also served on the board for the Digital Games Research Association (DiGRA) between 2013-2015. Mirjam Palosaari Eladhari is a game designer, researcher, and developer who entered the video game industry as a programmer in 2000. Her dissertation work (Teesside, 2010) explored characterisation and story construction in MMO’s focusing semi-autonomous avatars. Having focused on intelligent agents and story construction, her present research foci are AI based game design and story-making games. Her approach includes exploration of the game design space through experimental prototypes. She has worked as a game designer in various research projects, most recently in C2Learn. 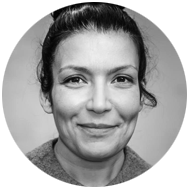 Mirjam has taught game design and related topics since 2004, and is now a senior lecturer at the department of Media Technology at Södertörn University in Stockholm, Sweden. HEVGA’s mission is to create a platform for higher education leaders which will underscore the cultural, scientific, and economic importance of video game programs in colleges and universities. The key is to create a robust network of resources ­– ­including unified advocacy, policymaker engagement, media coverage, and external funding – in order to incubate and harness the impact of this community in a 21st century learning environment. For more information, visit hevga.org, like HEVGA on Facebook, or follow @theHEVGA on Twitter. WASHINGTON, D.C. – February 26, 2018 – There is no evidence that video games cause school shootings or gun violence. As an organization whose researchers are dedicated to the pursuit of knowledge, free speech, and academic freedom, we certainly would accept and amplify the results of a sound study that does––yet, after decades of research on the issue and a case before the United States Supreme Court, no such causal connection has been established. Why, then, are politicians blaming video games again? Because they need a scapegoat. This must stop. Since the Supreme Court’s ruling, others have continued to refute connections between video games and violence. The American Psychological Association’s Media Psychology and Technology division’s report analyzing over two dozen studies writes that, “Scant evidence has emerged that makes any causal or correlational connection between playing violent video games and actually committing violent activities.” The Washington Post gathered data pointing out that consumption of video games does not correlate with gun violence. Journalists are well versed in the research and have written extensively on the topic in USA Today, The New York Times, Forbes, The Guardian, Fortune, BBC, and The Washington Post. All point again and again to the lack of evidence. And finally, the research of HEVGA members and others in the video game field, encompassing decades of work and thousands of peer-reviewed studies, provides overwhelming evidence that video games are vehicles for change, learning, empathy, and connectivity. Former advisors at the White House in the Office of Science and Technology Policy, who started the effort to use games for impact at the federal level, also weighed in on this matter. Constance Steinkuehler, former HEVGA President and current professor at the University of California, Irvine, served as the first Senior Policy Analyst on games from 2011-2012 and briefed then Vice President Biden on the lack of supporting research following the 2012 Sandy Hook school shooting. She ran a subsequent meeting and listening session that included Biden, key White House staff, industry leaders, and top games researchers. Mark DeLoura, who served as the Senior Policy Analyst on games from 2013-2014 following Steinkuehler, wrote on Twitter, “In the previous administration we looked into this and learned that the research does not support any such correlation.” The current administration has not filled a similar or related post. If the research debate on video games and violence has been settled in the academy and by two branches of the federal government, then why––despite the Brown v. Entertainment Merchants Association ruling, the voluminous research on the positive effects of games, the work in the Office of Science and Technology Policy, and even the megaphone of the popular press––are politicians still blaming video games as the cause of gun violence and shootings when it directly contradicts the overwhelming evidence to the contrary? As Erik Kain stated in Forbes, “Shifting the focus to violent video games is just one of many strategies used to divide and distract rather than unite and problem solve.” The National Rifle Association’s Wayne LaPierre, following Sandy Hook, blamed video games in a press conference, throwing their hat into the ring in what has now become an overused strategy for politicians and other stakeholders. The effect was loud and clear: you can still blame games, despite the recent evidence, and continue to use them as an easy scapegoat. That is why we are issuing this statement: the core values of the university––the pursuit of knowledge, academic integrity, public and community engagement––demand it. When we observe politicians misrepresenting the facts for political purposes, scapegoating important issues, and quashing genuine public conversation, it is our responsibility to defend the truth. When we see them proposing games legislation based on unsound research in repeated attempts to avoid their own duty to directly address the core issue at hand, we must respond. If Washington wants to enact legislation for positive change in America on the subject of gun violence, then it should do so, but it should leave video games out of the debate. They have no place there. WASHINGTON, D.C. – January 4, 2018 – It is with great dismay that during the holiday season we read about the proposal at the World Health Organization (WHO) to enact a new classification for a ‘gaming disorder’ in its International Classification of Diseases (ICD). Already, some of the popular press is reporting the proposed addition to the list of ‘mental diseases’, ‘mental health conditions’, and other similar phrasing and terminology. While WHO is careful to point out that the proposal is limited in characterizing the disorder as “recurrent” gaming behavior manifested by “impaired control over gaming,” and “escalation of gaming despite the occurrence of negative consequences”, it is nonetheless the case that an additional classification of gaming as an addictive disorder will do little to combat cases of abuse rooted in individual behavior, not symptomatic of a particular medium. Of particular concern is that classifying gaming as a disorder will broadly seek to stigmatize a pastime that billions of players enjoy without issue around the world, and will also warp continued research into the issue in ways that seek to confirm classification rather than allow for open and transparent research without bias. We do not support WHO in this classification scheme in the strongest possible terms. While we strongly support the notion of responsible design, community engagement, and engaged citizenship on behalf of both the games community, the game development industry, and the scholarly and academic community studying both these media forms and their effects, we find very little scholarly evidence to support the classification as proposed. Instead, this effort seeks to create a distinction between engagement with this form of media and all other consumption where one may not exist (e.g., binge watching and other consumption patterns). Moreover, it confuses the context and terminology between ‘gaming’, which commonly refers to gambling, and the playing of digital video games. Perhaps most importantly, this classification proposes no prevention or treatment options. We’ve seen this kind of scapegoating before with both games and other media forms for centuries. Prior to digital games, we saw similar claims made of chess, solitaire, pen-and-paper role-playing games, and other forms of media, entertainment, and broadcasting. In the 18th and 19th centuries, women were seen as incapable of distinguishing the fiction of novels from everyday life in attempts to maintain the status quo and gender inequities, much in the same way various demographics and market segments are today cast as microcosms of other hot topic societal ills. We’ve watched as games are repeatedly blamed in today’s world for violence, childhood obesity, failures in educational policy, and a host of other contemporary issues, despite both a lack of evidence and careful consideration of other, often far more powerful, systemic forces that contribute to societal behavior. Games are commonly referred to as ‘addictive’ despite numerous conflicting studies and a clear lack of consensus from the scientific and medical communities. Yet certain groups, and some of the press, seem intent on singling out this form of media and play as uniquely dangerous, regardless of the fact that games are enjoyed by over 2 billion gamers worldwide and have also had a positive effect on STEM education, as well as related fields in the humanities and social sciences. To be sure, a classification may help with insurance and naming done properly can be of significant benefit, but instead of jumping to premature conclusions in ways that may be potentially damaging and could further alienate disparate parts of our societies, we first encourage everyone to continue to conduct the necessary research to study the ways that games affect our lives as a cultural and iconic form of media in this day and age. It is clear that the role of digital media in today’s world is of critical import–from our politics to how we educate the next generation. With careful, neutral study, non-biased reporting, and a critical eye towards sensationalism, we believe we can better understand the impact games have in our lives, and that includes caring for those among us whose behaviors during play may become damaging. But, in order to provide the best possible care to those truly in need, and to not cause harm through mis- or overdiagnosis, we must not needlessly stigmatize gaming as a disorder. Singling out a specific form of digital media based on the limited evidence presented to date is unwarranted, and does not advance either the care and treatment options for those in need, or our greater understanding of the role and impact of this media in matters of society and culture. WASHINGTON, DC – November 17, 2017 – The Higher Education Video Game Alliance (HEVGA), a professional association of video game scholars and programs at universities, announced today Andy Phelps as President. Phelps is the founder and Director of the RIT Center for Media, Arts, Games, Interaction and Creativity (MAGIC), founder and former Director of the School of Interactive Games & Media at the Rochester Institute of Technology, and holds the rank of Professor at the Institute. Phelps brings decades of experience in games programming education to the Alliance and has been an essential leader in legitimizing and professionalizing the field. He was a founding member of the Alliance’s Board of Directors and has been integral in ensuring its success. “Andy has a proven record of leadership and has demonstrated mastery in moving initiatives and organizations forward in truly impactful ways. His current and former work at RIT, collaboration with state and local government at MAGIC, and commitment to academics makes Andy the person best suited to next lead the Alliance,” said Drew Davidson, HEVGA’s Secretary. Phelps succeeds Constance Steinkuehler, who served as president from the Alliance’s inception. “We owe Constance a deep debt, not just for championing the establishment of HEVGA, but for her fearless dedication to games in higher education from the very beginning, both within academics and at the federal level in the Office of Science and Technology Policy (OSTP) during the Obama administration,” said Phelps. Steinkuehler currently holds the rank of Professor at the University of California, Irvine and will continue to serve the Alliance as one of its founding fellows. “We are very excited to have Andy as the Alliance’s next president. His background, devotion, and integrity will serve our field well and continue to push us forward. HEVGA, the executive committee, and our members are lucky to have him. We look forward to serving under his leadership,” said Katherine Isbister, Communications & Outreach. Washington, DC – We unwaveringly support our LGBTQ faculty, students, and members and will always advocate for their right to be treated equally under the law and with respect in society. That is why the Higher Education Video Game Alliance resolutely opposes the Department of Justice’s latest amicus brief on Title VII aimed at restricting the rights of LGBTQ people to live and work. LGBTQ people are integral to the games community and we would not have a booming field and industry without them. In order for our people to have opportunities to thrive, they must be protected from discrimination on the basis of both sexual orientation and gender identity and expression. Trans*, non-binary, gender fluid, and other non-cisgender people continue to have the least protections and face the most serious threats and acts of discrimination, particularly trans* women of color. The administration’s actions put existing federal protections at grave risk and seriously damages ongoing battles yet to be won. The Department of Justice’s brief is in direct opposition to The Alliance’s mission to underscore the cultural, scientific, and economic importance of video games, as our universities and programs suffer when LGBTQ people are discriminated against based on their sexual orientation or gender identity or expression. We are committed to our LGBTQ members and will ensure their voices continue to be heard. The Higher Education Video Game Alliance (HEVGA) is working with Uppsala University, Sweden, and the Gotland Game Conference to expand its international goals on a broader scale. HEVGA’s mission is to create a platform for higher education leaders which will underscore the cultural, scientific, and economic importance of video game programs in colleges and universities. The key is to create a robust network of resources–including unified advocacy, policymaker engagement, media coverage, and external funding–in order to incubate and harness the impact of this community in a 21st century learning environment. How does this translate to an international scene? How do we build a network of resources that are valuable by country, across institutions and across borders? At this year’s Gotland Game Conference, the Department of Game Design at Uppsala University is hosting an international summit for game educators, and inviting all game educations to participate. An outcome of HEVGA’s Annual Meeting on February 26, this is a first meeting to start working towards a European alliance of game educations. The goal is to ask basic questions such as: who are we, what do we teach now, and how do we see that changing in the future; and, the deeper ones, like how can we build a network of resources that are valuable across institutions in each country and across borders? The summit takes place on two days, separated by the GGC. Sunday (28/5) is spent getting know other meeting participants; informal presentations that focus on the work we do and how we do it, followed by a VIP dinner and booth crawl amongst the games on the show floor. 29-30/5 is spent networking and soaking up inspiration at the conference proper, before the summit picks up again with a working day on Wednesday 31/5. The second day of the summit will focus on what HEVGA in Europe could look like, with a focus on actionable goals for building a platform that supports us all: a unified advocacy, a media amplifier, taking local achievements global, a better way to secure funding and a network that recognizes the cultural, scientific, and economic importance of game educations at colleges and universities. If time allows, there will be a breakout into groups in the afternoon, to discuss specific topics like base education, research, industry outreach, alliance details, and [insert-your-suggestions-here!]. For questions or inquiries, please email Jonathan Elmergreen, Executive Director, at jonathan@hevga.org. The Higher Education Video Game Alliance (HEVGA) applauds New Hampshire Senator Maggie Hassan (D) for introducing the Reigniting Opportunity for Innovators (ROI) Act to help alleviate student debt by supporting young entrepreneurs to grow small businesses. Young entrepreneurs have declined while student loan debt has sharply risen. The act would help entrepreneurs reduce federal student loan debt by allowing deferment of loan payments and interest accrual as well as eligibility for $20,000 in debt cancellation by locating the start-up in economically distressed areas. Today, The Higher Education Video Game Alliance (HEVGA) proudly announces their Fellows program, inducting 30 scholars into their inaugural cohort of leaders in games in higher education. Established in 2017, The Higher Education Video Game Alliance Fellows program recognizes senior scholars in the games domain who have made significant contribution to the field in design, theory, or research. HEVGA Fellows are elected by their peers for outstanding contributions to games-based research and design in higher education. Fellows serve as integral ambassadors for the organization and are inducted as lifetime members. HEVGA is committed to providing a robust network of resources and support to its members and member institutions, whose contributions are essential to the success of the field and the international games community. The Higher Education Video Game Alliance (HEVGA), with generous support from iThrive, is excited to announce it will host a member meeting on Sunday, February 26. Held at the Intercontinental San Francisco in Telegraph Hill from 1:00 – 6:00pm prior to GDC, the meeting will bring together leaders in games and higher education to begin generating a series of reports on key areas instrumental to the continued success of the field, such as tenure, program rankings, publishing in journals and conferences, alumni tracking, and blueprints for creating games programs. The first of their kind, the reports will serve as vetted guidelines and gold standards for the field, acting as crucial resources for programs, departments, faculty, and students as they continue to grow and develop their work at their institutions. Members will collaborate with pioneers who have proven track records and successes in each area. Together, attendees will have first access towards shaping the content of the reports and opportunities for authorship or listing as a contributor. Capacity is limited to 40 in order to maximize intellectual cross-pollination, genuine face-time, and professional networking. Following the meeting, members may attend an elective informal dinner at a local downtown restaurant. Our mission is to create a platform for higher education leaders which will underscore the cultural, scientific, and economic importance of video game programs in colleges and universities. The key is to create a robust network of resources–including unified advocacy, policymaker engagement, media coverage, and external funding–in order to incubate and harness the impact of this community in a 21st century learning environment. For more information, visit hevga.org, like HEVGA on Facebook, or follow @HigherEdGames on Twitter. As is often the case, this unfortunate incident was most likely born out of misunderstanding. Many continue to be unaware of the important jobs skills training work taking place at our schools and colleges, and don’t recognize the many contributions the video game industry is making to the country, our workforce and our economy. With this background, here is my ask: Please join me in responding to Senator Flake on Twitter, and encourage your staff and students to help correct the record. Please find several suggested tweets below. I encourage you to share one or more of these across your own social platforms. If your colleagues, your school and/or your students choose to address the issue in your own words, please advise them to keep their responses positive—we want to remain educational, not confrontational. And to help keep track of all the messages, be sure to tag @jeffflake and use #STEAMjobs in any tweets. Thank you for your help in drawing attention to the cultural, scientific and economic importance of video game programs at our colleges and universities. HEVGA’s mission is to create a platform for higher education leaders which will underscore the cultural, scientific, and economic importance of video game programs in colleges and universities. The key is to create a robust network of resources – including unified advocacy, policymaker engagement, media coverage, and external funding – in order to incubate and harness the impact of this community in a 21st century learning environment. For more information, visit hevga.org, like HEVGA on Facebook, or follow @HigherEdGames on Twitter.